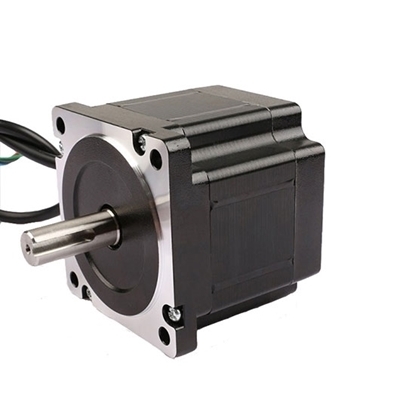 Nema 34 bipolar stepper motor with high torque, 4.4Nm of holding torque, phase current 3A and 1.8 degree step angle. Brand new, high quality and manufacturer direct sale. 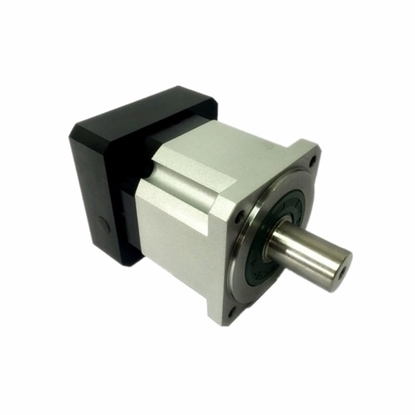 Right-angle planetary speed reducer or gearbox has 18 options of ratios ranging from 3:1 to 200:1 at 1, 2 or 3 stage, with high transmission efficiency, tha maximun up to 97%; it is square flange design, simple mounting and can be matched with servo motor, stepper motor and so on. The main transmission structure of the planetary speed reducer is planet gears, sun gear and ring gear. 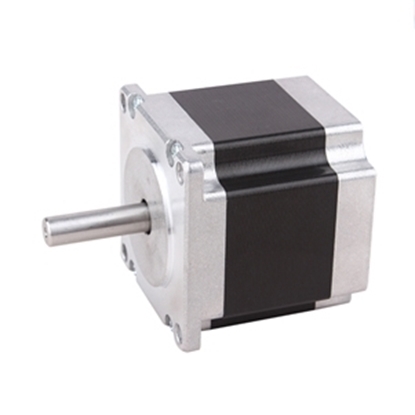 Because of its own structure, the gear ratio of planetary speed reducer is at least 3:1 at the single stage and generally no higher than 10:1. The grade of the reducer is also no more than the 3-stage generally, but some can customize the 4-stage reducer with large ratio. Compared with other reducers, the planetary speed reducers have the characteristics of high stiffness, high precision (within 1 arcmin at single stage), high transmission efficiency (97%-98% at single stage), high torque/size proportion, free maintenance for life long and so on. 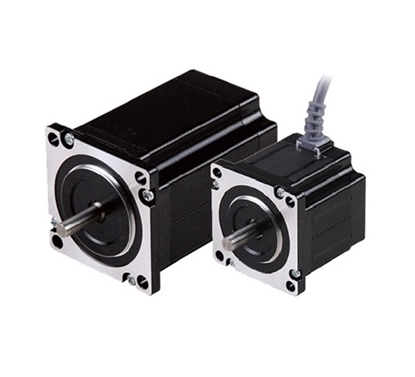 Due to these characteristics, the planetary speed reducers are mostly installed on the stepper motors and servo motors to reduce the rotational speed, increase the torque and match the inertia. 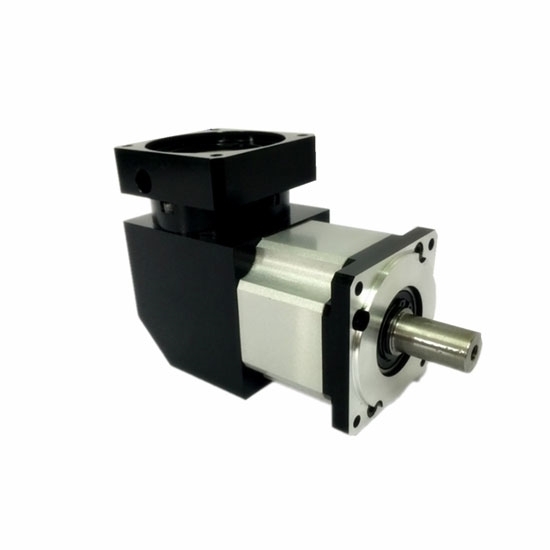 The rated input speed of the planetary speed reducer can reach a maximum of 18000rpm, which is related to the size of the reducer itself, that is a bigger size of reducer brings a lower rated input speed). The operating temperature is usually about -25℃ to 100℃ and its working temperature can be changed through altering the lubrication grease. Note: For the output shaft, the keyed shaft S2 is delivered by default. 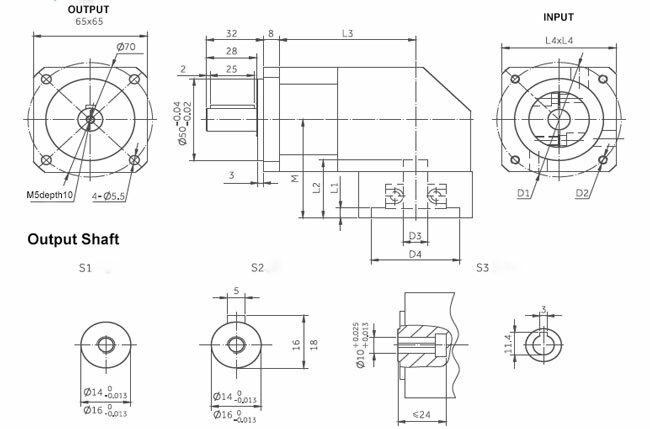 If you need other output shaft S1 or S3, please contact us. 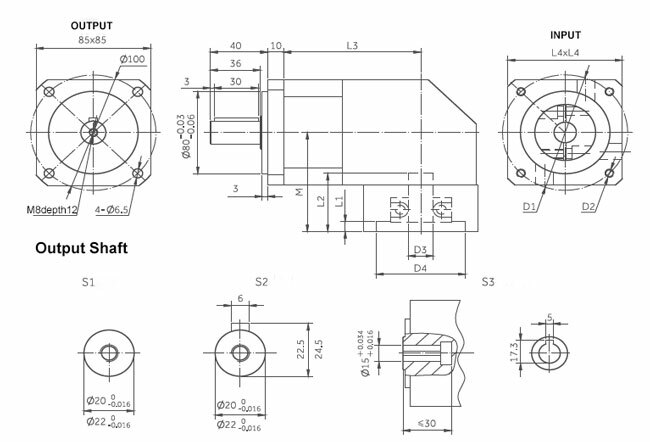 *The above are common dimensions for the motors. 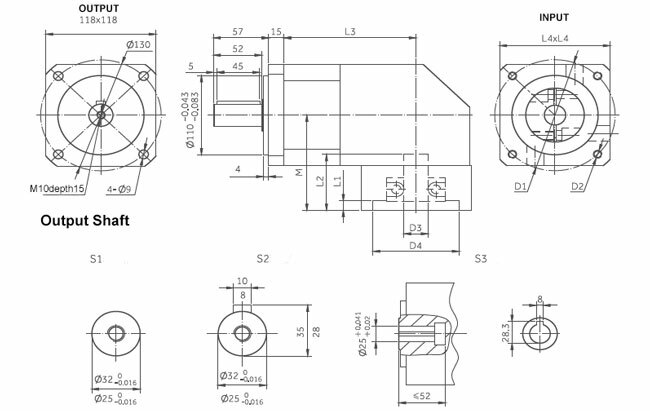 The input dimensions will vary according to the motors. 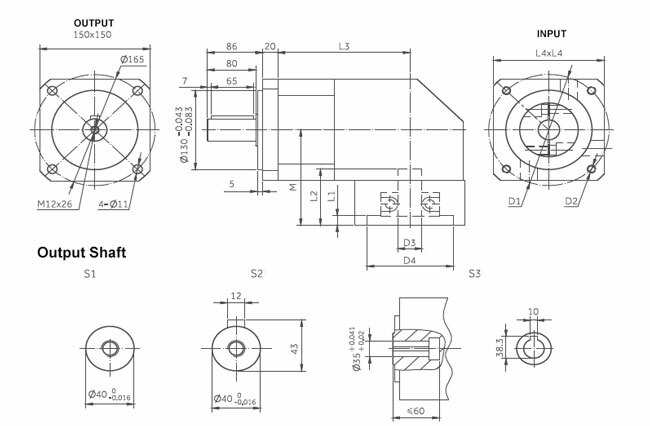 For the specific dimensions of the motors, please contact ATO and we can customize that for you.